KI Study Programs can provide a logical structure for your study. Follow our progressive study program to gain a general overview of the key subjects in Science. In this program you will focus on the core literature within Kappeler’s library. Follow our study by subject program to study a particular topic in depth. Use these Study Programs as a compass rather than a curriculum. Allow your selections to reflect your background, interests, and goals in Science. 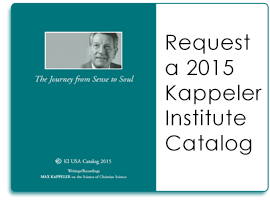 Click here to learn how Adobe Reader can maximize your study of Kappeler’s books.